The Children’s Museum and Library, Incorporated is a youth leadership organization that promotes the welfare, development, and empowerment of the Filipino youth through its conventions, competitions, seminars, and tournaments. The CMLI Junior Council Alumni Association (JCAA) presents the grandest, the most prominent, and most sought-after high school choral competition in the country entitled, Voices in Harmony 2015: The 17th Annual Awit-Tagisan ng Batang Pilipino. Inspiring performances of classical, contemporary, and original Filipino music will grace the choral stage as the University of the Philippines Singing Ambassadors (UPSA) celebrates its 35 years of musical excellence with a concert series entitled An Evening of Choral Pleasure. 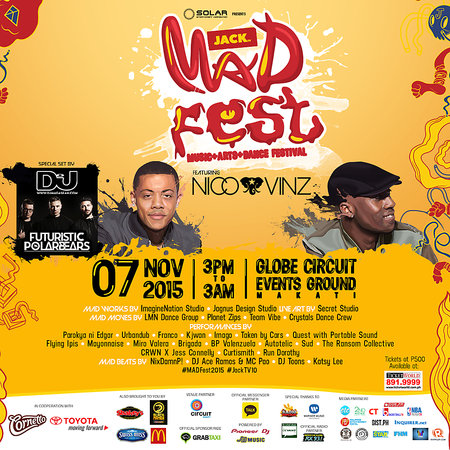 The first of the concert series will be on November 6, 6pm, at the UP Diliman Bulwagan ng Dangal, followed by a performance on November 15, 7pm, at the Ayala Museum to be capped off by a final run on November 30, 6pm, at the Abelardo Hall Auditorium, UP College of Music. 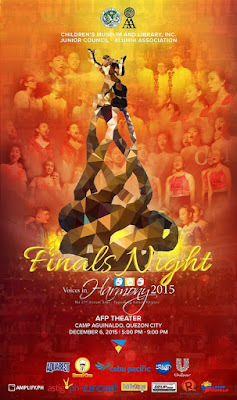 To encourage public appreciation for choral music, UPSA will showcase a repertoire of works from established as well as up-and-coming Filipino composers, arrangers and choreographers in three nights of pure choral bliss. 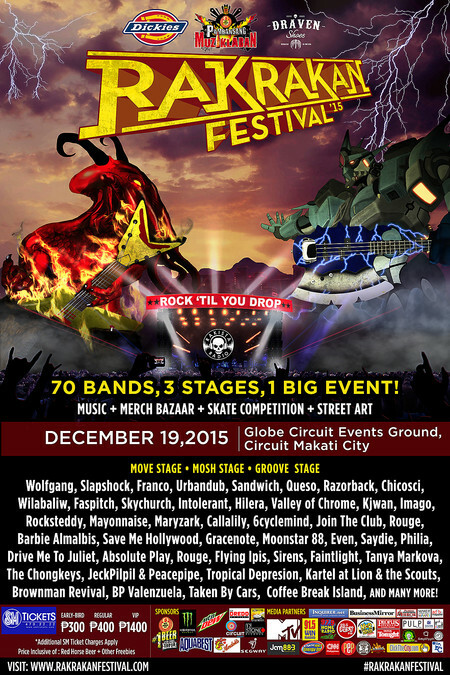 In less than 30 days, Rakrakan Festival – perhaps, the Philippines’ biggest, loudest, and most exciting 100% Pinoy music festival brand in recent years – is coming back to the Globe Circuit Events Ground, Circuit Makati on December 19, 2015 for another 12 hours of non-stop rocking to the country’s finest musicians from Luzon all the day down to Mindanao. 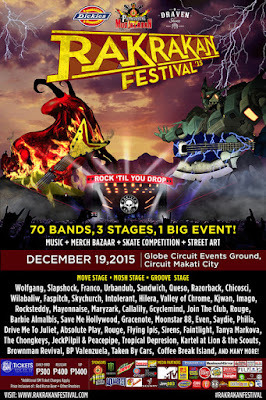 It is about time of the year again we all rock ‘til we drop. 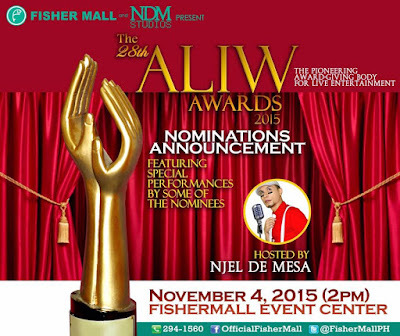 The 2015 ALIW Awards headed by its founding president Alice H. Reyes announced the following categories included in the forthcoming awards night to be held on December 3, 2015 at the KIA Theater, Araneta Center, Quezon City. 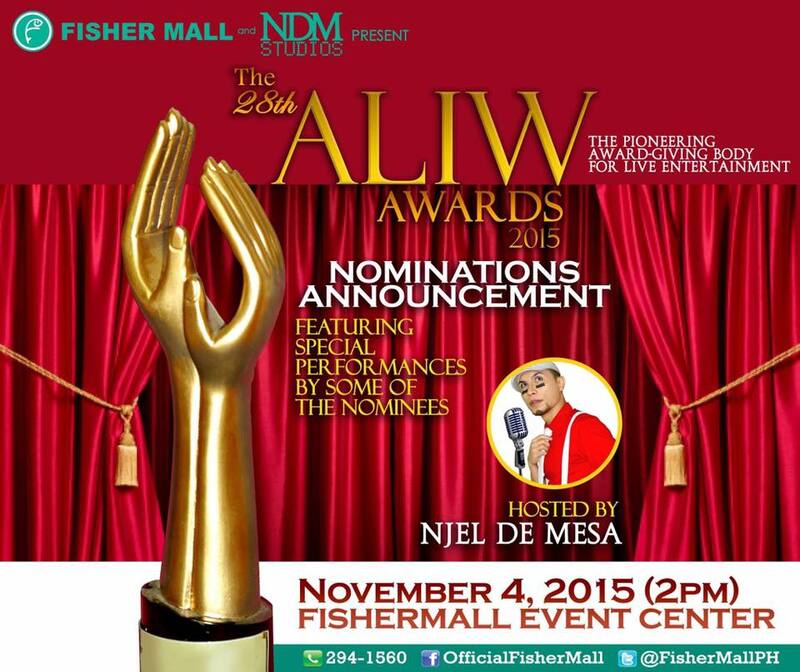 Inclusive dates of the nominated shows and performances are from September 1, 2014 up to September 30, 2015. 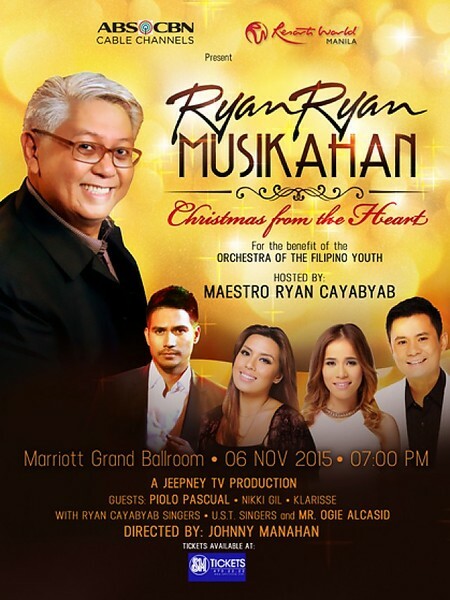 Jeepney TV once again showcases the genius of Maestro Ryan Ryan Cayabyab as it presents the second Christmas special of his rebooted iconic musical program titled, “Ryan Ryan Musikahan: Christmas from the Heart” on November 6 (Friday) at the Marriott Grand Ballroom, Resorts World Manila. “Ryan Ryan Musikahan: Christmas from the Heart” is a premiere concert and joint project of Jeepney TV along with ABS-CBN’s cable channels Cinema One, Lifestyle, MYX, and Hero for the benefit of the Orchestra of the Filipino Youth.